The civil services exam is huge and has a complex exam procedure. The training provided by the IAS Coaching Institutes in Pune plays a crucial role. Of course, it is not economical when compared to self-study. But, it is worth spending the money on any of the Best Ias Coaching in Pune. Getting into the administrative services is the dream of the lakhs of students. You are one among them. Competing with all of them and grabbing your position is not an easy task. Having good academic knowledge is not the only criteria in getting through the UPSC exam. You must know how to cleverly present your answers. Is UPSC Coaching in Pune Necessary To Achieve The Best Score? Think of any famous sports person. For instance, let’s take Virat Kohli. Does he have a coach? YES! On the other hand, his complete career success does not depend on the coach. The consistent efforts put by Kohli matters a lot. In the first place, you need to own the basic elements of success. Later, there will be someone to supervise you in all these elements when you join the Best Ias Coaching in Pune. UPSC Coaching in Pune will certainly help you to attain success. Ultimately, your hard work and preparation is a matter of concern. Choose the right coaching institute keeping these factors in mind. Do not choose the academy by seeing their advertisements. It is extremely important to do your research. You need a mentor to guide and support throughout the process. The test series provided by the coaching institutes prepare candidates for the real exam. Without supervision, most of the IAS aspirants tend to lose focus and stop preparation. In this blog post, we have done it for you. 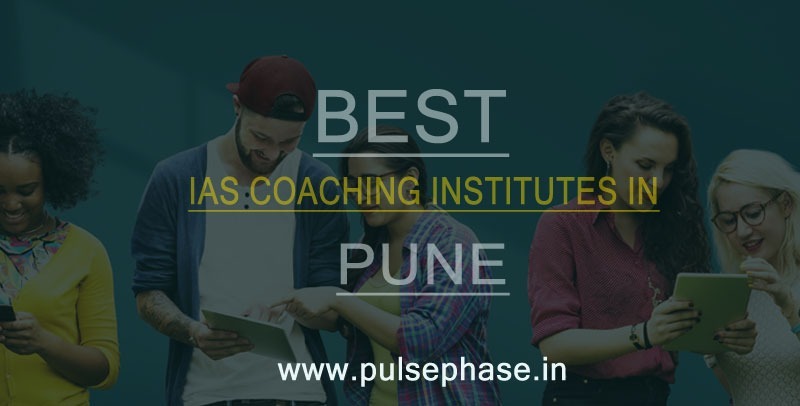 The list of IAS Coaching Institutes in Pune provided below will guarantee you the quality of teaching. We have considered the google reviews, students testimonials, and thought leadership to prepare this list. All of the institutes are genuinely selected based on our research. Pioneer Academy was established in the year 2015 to help the IAS candidates with dedicated coaching. They are known for providing time-bound and strategic training classes. For admissions, you need to make an enquiry from their website. In addition, you can also reach out to them through email ID or phone number provided. This IAS Coaching Institutes in Pune conduct only offline classroom coaching through both weekday and weekend batches. Their students are given a rigorous and consistent test series. The best part is, Pioneer Academy has the online forum enabled on their website. With the help of this platform, candidates can raise their discussions. Pioneer Academy delivers the step by step guide to their students. It is been the Best Ias Coaching in Pune to provide a deeper understanding of each subject. Take up special revision classes for the UPSC candidates. Students must assess daily tests comprising of UPSC standard questions. As a result, you are made to adopt the best answering techniques. They have arranged the exclusive session for clearing doubts after every class. On a regular basis, the academy conducts mini tests every Sunday. The evaluation results are provided within a week and optimized for improvement. 3 Years Integrated Batch Prelims + Main + Optionals + Interviews Contact for More Information Contact for More Information Contact for More Information Individual Attention with Counselling Feedback on Exams and Tests Quality Notes Concentration on Essay, Analytics, Communication, Ethics, Attitude and Aptitude. Paradigm IAS Academy is a Top IAS Coaching in Pune establish in the year 2008. The institute provides the well-structured study materials focusing on latest exam updates. Weekday classes are available in both morning and evening batches. On the other hand, weekend classes are available only on Saturday. This is the trusted UPSC Coaching in Pune to teach the students in both English and Hindi. The academy allows the students to download the plethora of free study materials from the website. Correspondence courses and video lectures are the unique aspects of Paradigm IAS Academy. The lectures are delivered by the thought leader Ambrish Kumar who is responsible for many success stories. Each candidate is provided with precise notes that help in strategic preparation. At this IAS Coaching Institutes in Pune, Mr. Ambrish Kumar himself refines the notes through deep research. Along with his teaching, there is a team of well-experienced faculty from Delhi. They have built the result oriented courses and cover the syllabus in time. The academy owns an amazing error monitoring system and embeds scientific approach during their training programmes. Classrooms in the Best Ias Coaching in Pune are air-conditioned and possess multimedia systems. The Unique Academy is popular as the Top IAS Coaching in Pune formally established in the year 2006. Mr. Tukaram Jadhav and Mr. Malhar Patil are the directors of this reputed Academy. They aim at increasing the ratio of candidates from Maharashtra in the Union Civil Services. The candidates are required to pay the fixed registration amount to book a seat in any of the upcoming batches. The remaining fees should be paid before the actual batch commences. If interested, the candidates can also make full payment in advance. The classes are conducted in offline classroom mode. However, this UPSC Coaching in Pune offers the online test series. IAS aspirants have the option of choosing between the weekday and weekend batches. Most importantly, coaching is provided in English and Marathi Medium. One of the trusted IAS Coaching Institutes in Pune to own the experienced faculty. All of them are subject matter experts who deliver in-depth knowledge. Focus on developing conceptual clarity and help the candidates to improve comprehending skills. Complete the syllabus in time along with the model paper solving and regular practice tests. Monitors the progress of each candidate and provides personal attention. Conduct the well-planned extracurricular activities that in turn develops the candidate’s personality and attitude. 3 Year Integrated Batches Enquire with the Management for Course Details Fees – Rs. 1,12,100 First Year – Basic Awareness of Civil Service Exams, Basics of Optional Subjects such as History, Politics, Geography, Economy and Society, Concepts of Analytical Skills, Officer Qualities, Concepts Clarity Second Year – In-depth preparation on General Studies Subjects, International Relations, Ethics, etc. Focus on Essay Writing. Third Year – Detailed Revision on GS, Prelims, Optionals and Series of Tests. Critical Evaluation, Special emphasis towards Current Events, National and International Importance. Lakshya IAS Academy is recognized IAS Coaching Institutes in Pune and established in the year 2002. It aims to raise the capable Maharashtrian administrators for the future. It takes care of all the important elements required for the successful UPSC preparation. They keep up the comprehensive training methodology which is been responsible for their long term success. Reach them out with the help of phone number and email address provided. On the other hand, you can submit the query through their website. This is the Best Ias Coaching in Pune to provide both weekday and weekend coaching classes. They embed a brilliant knowledge source about current affairs on their website. Check their website to learn more about the recommended UPSC books and study materials. The Academy wishes to persuade the youth and train them for administrative services. They insist and help IAS candidates from Maharashtra to boldly take up the opportunity. Workshops and seminars are regularly arranged by the coaching institute. Through such events, they help the students to develop the thought leadership ability. They offer regular updates about current affairs in the form of blog posts on the website. Vihaan IAS is the top IAS Coaching Institutes in Pune founded by Mrs. Shilpa Balyan in 2010. Their admission process is standard and simple. You need to fill up the form and submit it with the passport size photo, ID proof, and 10th marks card. Payment is accepted through credit card, debit card, cheque, cash, and DD. You can get a fixed concession if you sign up through any of the old students. They allow the students to pay the fees through installments. Hostel facilities are available based on the special request. Owns the highly experienced faculty team. Disclaimer: The content on this page is a compiled result of Pulse Phase’s Research team and the ranking is based on the criteria and guidelines set by Pulse phase and not in any way related to rankings done by governmental bodies. It is purely third-party research work.